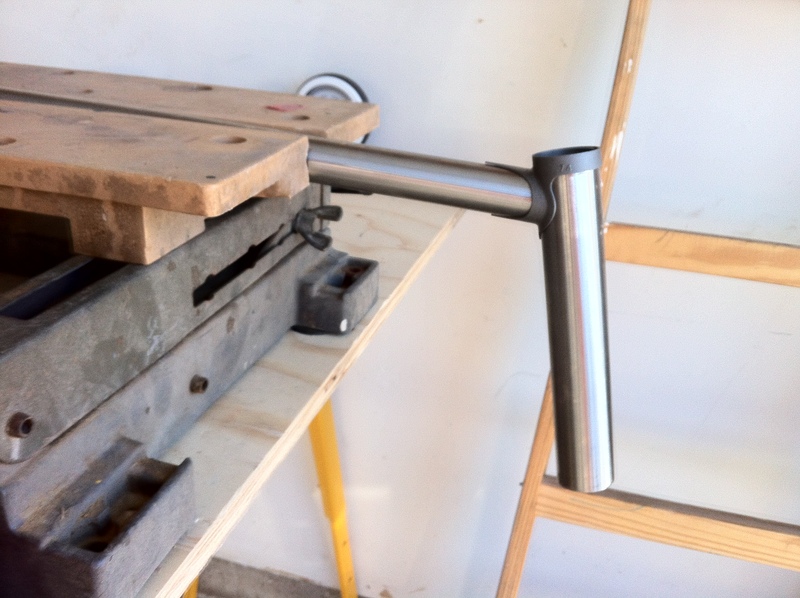 After setting up the shop, I started working on my brazing and mitering skills. I spent a couple of weeks getting confident enough to start the real deal. First step was the head tube. Here is a pic of the initial head tube after fitting the lug. 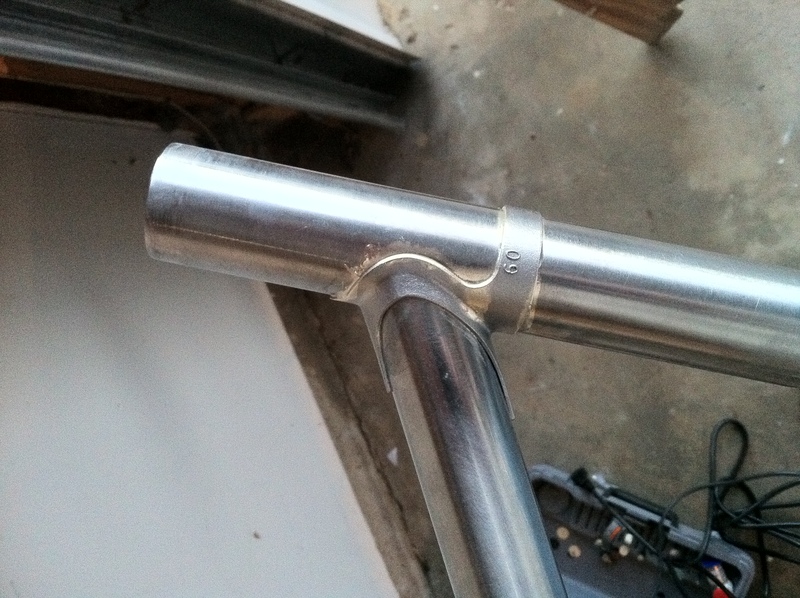 After fitting the lugs to the head tube, I did my first braze weld on the down tube/head tube junction. I was pretty pleased. Definitely gave me some confidence to keep on going. What I found out is that I was spending most of my time measuring and cleaning. The brazing and was the quickest part. By the time I was done with the bike, I pretty much wore out a brand new stainless steel wire brush.